The splashball folding floating goal is a two-thirds size version of our very popular "Club" goal, with the added benefit that IT FOLDS FLAT FOR STORAGE. Folding for storage is easy - just pull the Rear Arms out of their sockets, and the Front Frame folds down onto the Float Panels. That's it! Once folded, the "Flippa" goal can be carried easily under one arm. 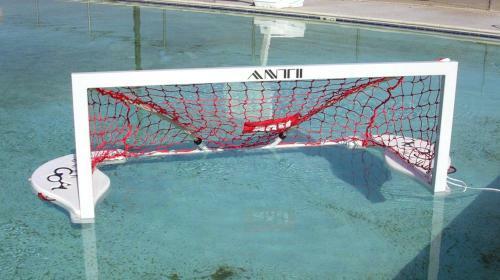 The splashball folding floating goal is built to AntiWave's usual high quality standards. The floatation panels are durable hand-laid fiberglass. The front frame and rear bar are white powder-coated aluminum. The rear struts are 1" diameter nylon rods. The net and rope are polypropylene. All fittings are stainless steel. 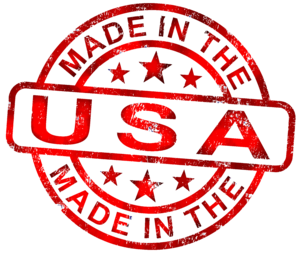 AntiWave is renowned for the quality of their products, and offers a 3-year manufacturers warranty. The "Flippa" goal is ideal for kids' games, practice, residential and club pools, or any location where a full-size competition goal is not needed. This goal is also great value for money!